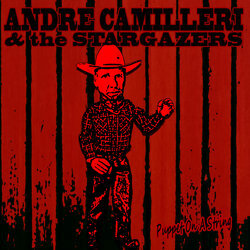 Arguably one of Australia's most prolific and underrated songwriters in one, Andre Camilleri blends Country, Alternative and the Blues to create unique sonic landscapes of timeless beauty. Since moving to Australia from Europe in 2000 Andre has recorded 30 full length studio albums with various lineups in Brisbane, Melbourne and, for the past 4 years, Canberra. On his 33rd studio album 'Puppet On A String', Andre delves into his love for laid black piano based Country Blues with a twist of Jazz. Andre specifically wrote these tunes with two of his long time collaborators in mind. Mark Nunis on piano and Clark Fisher on bass took to the task with relish. The end result is a work of timeless beauty. This one's a slow love song. I am very lucky to be good friends with Melbourne pianist Mark Nunis. I wrote this song with his playing in mind. I think it worked out pretty good.